You’re in the midst of final wedding preparations when your husband-to-be gets caught up in what looks like a murder plot! Is he guilty of betrayal – or even worse? From Mad Head comes the anticipated second game in the Cadenza series! This game features African-American main characters, an impressive soundtrack designed by a composer/game designer, interactive HOPs, and more. 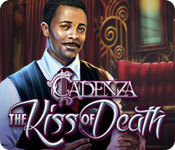 Cadenza: The Kiss of Death is rated 4.4 out of 5 by 38. Rated 5 out of 5 by katnap123 from I loved it! The atmosphere, the music, the story, all kept me glued to this game. The HOGs and puzzles kept with the flow of the story, and I had fun playing each one. My only drawback is it could have been a little longer, but I'll definitely be replying this one again. I highly recommend, especially if you like jazz. Enjoy! Rated 5 out of 5 by BENTESS from Excellent Game Good game and good story. Liked the HOGs and I'm generally not a big fan - there are little twists to each one that made them interesting. The music was good too. Would recommend this game to my friends. Rated 5 out of 5 by catbag8717 from One of the Best Games of 2015, If Not All Time BASED ON COMPLETED SE The follow-up to Cadenza: Music, Betrayal and Death, Mad Head's newest offering, Kiss of Death, certainly had big shoes to fill. Well, this was an absolutely OUTSTANDING game! Not only did it fill those shoes but, dare I say it, this was actually better than the original! The story was absolutely phenomenal. 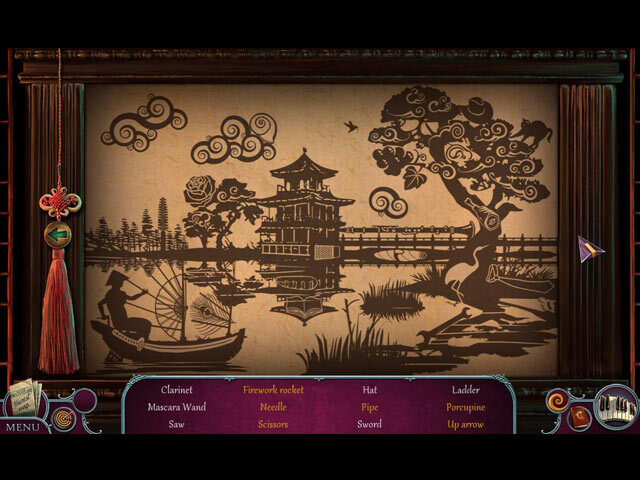 It was in a world of its own, a stand above other HOPA stories. Everything about the story was stunning from start to finish. From a good opening, to great twists, to heart-pumping anxiety-ridden moments, this story had it all. The game kicked into gear immediately with a great opening and an almost immediate shocking twist, and didn't stop there. It was just one shocking moment after another, but the brilliant thing is, it maintained a steady pace and logical flow, and everything made sense. The twists came at just the right time, so when you thought you had everything figured out, the game threw something new at you, which I really appreciated. What made this story stand out for me was it wasn't afraid to go above and beyond with the scare factor. I like a scary story, and this game went where games had never gone before, and it did scare me! It just made everything so much better. The ending to the game was also pretty good, if a little confusing. It was never fully explained what the motives of the villain were, except for a couple of sentences. I did skip the last puzzle, so maybe that would have explained it. If that's the explanation, that's poor from the developers and should have been shown regardless of the skip. The ending itself though was shocking yet conclusive, a fitting end to the story. Overall, a brilliant story, which set the foundation for a solid game. The great story was complimented by equally great gameplay. It's come to be expected from these developers that the gameplay is unique, something different, and that's just what we got here. The game just had slightly different touches which made it a lot more fun. The HOS, for example, were a delight to play, came in many different forms, and were spaced out evenly. Whether it was standard junkpile, form the item, pairs, or a mix of pictures and word clues, the HOS were wonderful and I loved them all. They did get more frequent towards the end of the game, but that's the only real negative. At 12, there was a decent amount. The puzzles were good too. They varied in difficulty and, for the most part, were very fun, with some unique puzzles there as well. In my eyes, some puzzles had some very unclear instructions, especially the gas station one and the punchcard one. The punchcard one drove me INSANE, to the point where I had to go into the forums and, finally, the walkthrough. The clue for the punchcard looked nothing like the answer! It was very frustrating. Other than that, I found no problem. The puzzles were spaced out well and there was a decent number of them, at 7. I also found the adventure component was good too. The only special feature was the + objects (always fun), so the game was fairly simple in design and easy to get around. The adventure component was definitely prominent but took a backseat to HOS and puzzles. I found that there was a lot of jumping from HOS to puzzles, which annoyed me a little. I also found that the adventure component, despite it being fun and unique, was quite easy. I haven't played a HOPA in months and I was able to get around this with little to no trouble. As always, I found the graphics superb. There was a vast array of colours, with crystal clear scenes and visually stunning artwork. The character designs were realistic, as always. Everything was clear and I did not once encounter hazy, fuzzy or pixelated scenes, or have to adjust brightness on my computer. The voice-overs were fine for the most part, but the plant shop man's voice-over annoyed me to no end. It was a slow, monotonic drawl, and it just drove me up the wall, to the point where I couldn't wait to get his dialogue over with. FEATURES - 5 modes of difficulty: Casual, Advanced, Hard, Extra-Hard and Custom. I played advanced. In advanced, the only sparkles were on HOS, which I liked. - Hint & Skip- recharged at a decent speed for advanced and hint was helpful outside HOS. - Map- Even on advanced, the map still sparkled and gave hints. I found the map quite useful. - + objects- These were a fun addition to the game. There was an indicator as to when they could be used, which I really enjoyed. WHAT DO I MISS OUT ON IF I BUY THE SE? Bonus Chapter Built-in Strategy Guide- does not show HOS solutions. Does show locations of collectibles. Achievements Collectible golden tickets- one in every scene Since there is a “ticket hunt” in the bonus content, I'm guessing that means you have to collect all of them to access it. Morphing Objects- One in every HOS. Ticket Hunt Treasure Hunt Case Files Match 3 Replay HOS Wallpapers Concept Art Soundtrack WHICH IS THE BETTER BUY? The CE does have some decent features, so if you're big on features, go with CE. However, I found the SE to be of significant value, so I would recommend that. ON THE GAME LENGTH The game was a decent length. I didn't time my gameplay but I estimate it to be around 3 hours on advanced mode. WOULD I PLAY THIS GAME AGAIN? Absolutely. Ten times over. This was one of the best games of 2015. It's a superb addition to my library that will not gain dust on the shelf. Overall, this was a near-perfect game, with a superb story, complimented by fantastic fun and unique gameplay. There is no choice other than to give it five stars. This was one of the best games of 2015 and I could not recommend this game highly enough for the absolute masterpiece it is. This is arguably this developer's best work. Rated 5 out of 5 by leamjax from love it Enjoyable,not so complicated!! with the story lines or puzzles,which i found was very unique.please continue with the series:) Bravo on the voices and Kuddos on art work:)!! Rated 5 out of 5 by Kimmycoo from If they could all B this good! This series is one of my fav ever on Bigfish. They put a lot of developers to shame with their gorgeous, real-to-life scenery and graphics in this. You can get caught up in the scenes and never want to leave. This one takes place in New Orleans and BOY does it bleed Cajun. From the city streets to the swamps, you'll feel like you've really been to New Orleans. The jazz, the music just set everything off beautifully. I love the story line. I am so sick of princess and far away kingdoms, I love real life places and characters. Things that could really happen. The voice overs are perfect and captured the crescent city lingo. This game and any of the Cadenza games are very worth buying, especially the collectors editions. There are so many scenes and no back and forth. 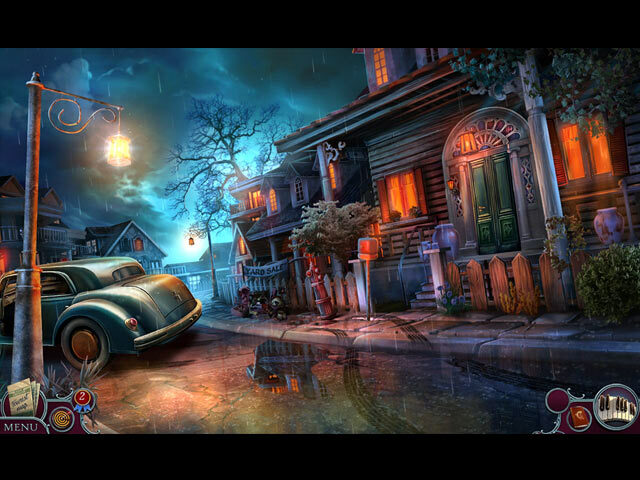 Youll play a hidden object scene ONCE, there is no do overs. 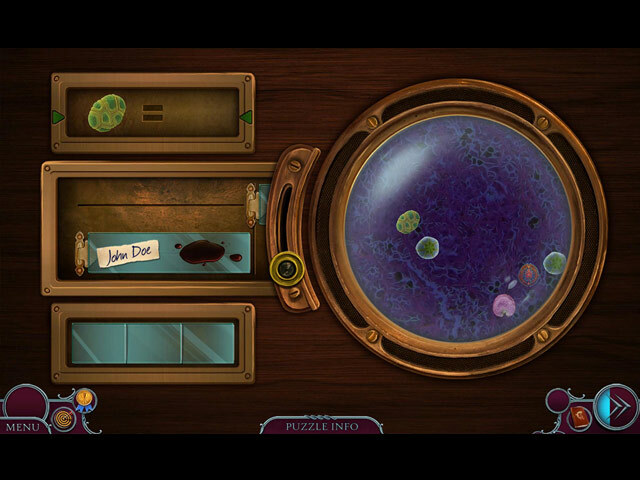 These guys are NOT cheesy, they make a hidden object game the way one is suppose to be made. Highly recommended! Rated 5 out of 5 by technocratee from Loved it again Mostly because of the story, scenery, graphics. I played the first Cadenza and liked it so I got this one. I was immersed in the story, I felt like I was part of the investigation. The mini games were easy but pretty, voice over was great. I'm glad I purchased it. Rated 5 out of 5 by Zestysoup from Game Draws you in! Thoroughly enjoyable. Period music & scenery, and location dialect, all add to a terrific ambiance making the game play realistic. I love all the Cadenza series and will scoop up the next as soon as offered. Rated 5 out of 5 by JCesme43 from Excellent series! This is an excellent series. Well done, Big Fish! Different from most of the HOGs I play in that it's a realistic storyline vs ghosts & monsters, etc., that a good portion of the HOGs are, which I LOVE as well, but the 2 Cadenza games are refreshingly different. Graphics and sound effects/music are great & the characters are interesting. Takes you all over the place, from wedding preparations at a mansion, to the Jazz Pepper Club to the city hospital & morgue to "Chinatown" & then through a swamp! Breathtaking! Can't wait for the next one! Rated 5 out of 5 by denniann2 from watch out for the deadly kiss you and your fiance are planning your wedding and he gets a phone call that he has a gig to play for a friend. he would turn it down buy they go way back. he leaves to go and you are to follow. when you next see him he is very sick. he stops breathing and you revive him but it is touch and go. no one seems to know what happened but the coroner calls you to the morgue and tells you something strange is going on. you become a target because you are getting too close and are finding out too much. a custom level and interactive map. another sequel i feel sure will be had. the graphics are good btw.